Potential customers find businesses (like yours) through the search engines. A targeted and effective SEO campaign ensures that your website is always visible and at the top of the search results, maximizing your website traffic, sales and customers. There are hundreds of factors that search engines use to determine a website’s ranking in search engines. At Magicdust, it’s our mission to generate the most effective search engine results for our clients. Our team of SEO consultants and website designers have years of experience in best-practice search engine optimisation and monitor the latest search engine developments and trends. 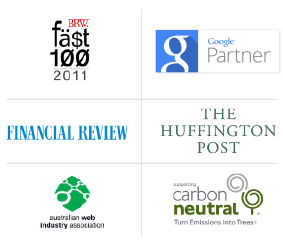 We work only with white-hat (valid) SEO techniques to build long-term search engine rankings and have helped over 1000 Australian businesses and well known brands reach the top of the search engines. The underlying objective of SEO, is to identify key terms that your customers are searching for, and ensure your website contains, and is relevant to these keywords. Relevancy is effected by the quality of your website’s content and the number and quality of links that your website receives from other websites (backlinks). Every Magicdust website is built with SEO best-practices in mind. We offer professional copywriting to improve customers’ website content and our SEO team are experienced in finding the best backlinks for each individual business. Like all Magicdust products and services, we believe in offering value for money whilst delivering an effective result. With our SEO service we guarantee to rank at least 50% of your keywords in the top 10 organic positions on Google or we will continue to work for free or give you a complete refund. Established Business. We are an established website design company with over 4,000 clients. 100% Australian. 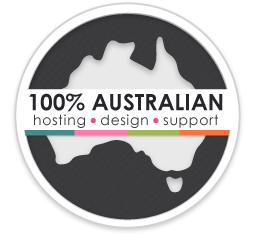 We are Australian owned and our SEO professionals are all based here.